IN BRIEF: What’s the secret to getting better skies? Take a guess. You said the Shadow slider in Lightroom? You are right–how do you do it? 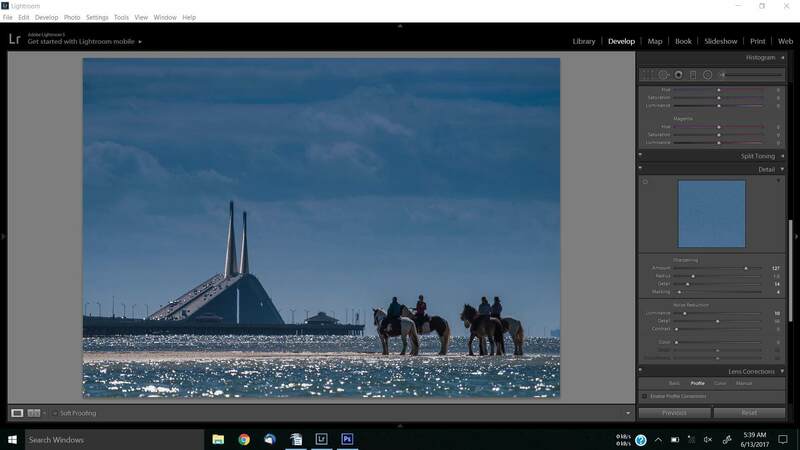 The Shadow Slider method of just 4 steps is a vital skill to know, because scenic shots can be ruined by gray, dull skies. Also, mastering the software you already have is less expensive than buying an ND or Graduated Neutral Density filter for your camera lens. Here, we’ll see how to rescue a blown-out sky, then learn the steps to bring out detail and color for an even better sky. We start with Global changes, then move on to local ones for great summer skies. Kelp growing on granite on Laney Island off the Nova Scotia Coast. 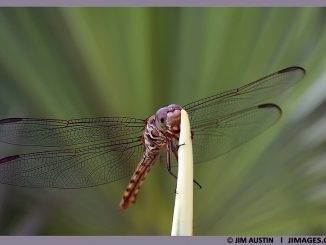 (c) Jim Austin Jimages 2017. The brief outline above introduces the concept. Now, we’ll rescue a blown out, dull sky. Here are the steps in a larger presentation. Globally Adjust exposure, contrast and saturation. 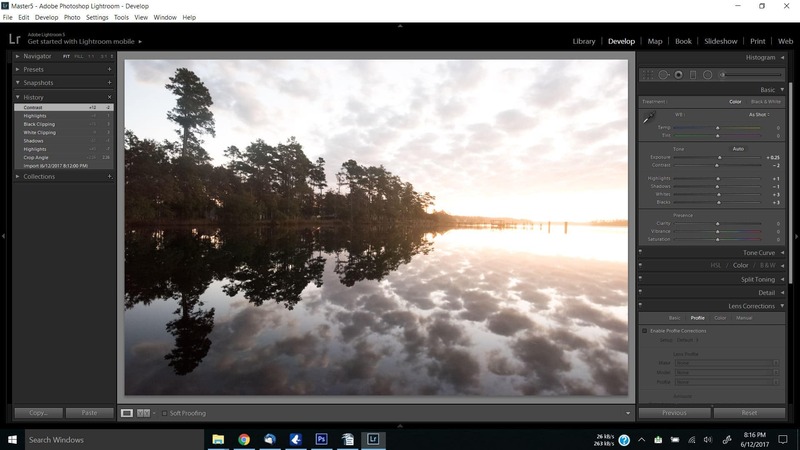 Open your image into Lightroom. Click the DEVELOP Module. Crop the image and then adjust the image for tonality and color with your Exposure, Contrast and Saturation sliders. 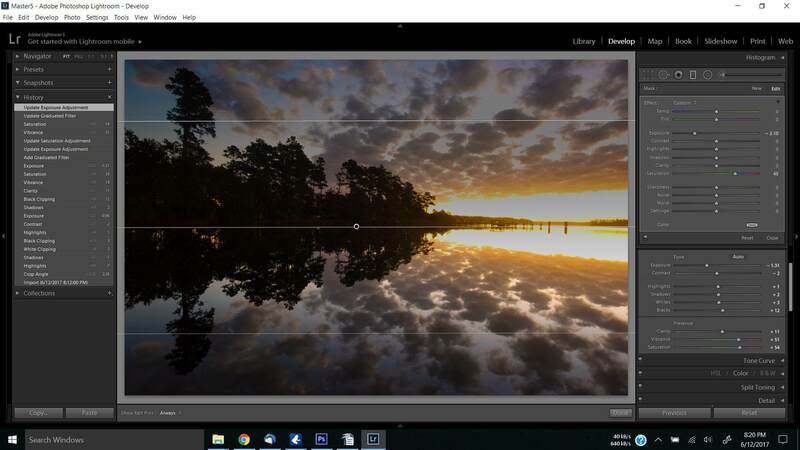 If you overdo a slider a bit, just back off and reduce the effect until the sky appears as you photographed it, with the right level of contrast and color. ADVANCED TIP. Before adjusting the Exposure slider, hold down Lightroom’s magic alt (Option) key as you move the slider, to bring up the clipping display. Holding Alt (Option) key and then dragging the shadows sliders (Highlights, Blacks, Whites too) you will see any areas where whites or blacks are clipped as a result of the adjustment – the color shows which channel is being clipped. When you adjust Shadows and Blacks the white areas of the image aren’t clipped. They let you know when the highlights start to appear, so stop brightening the image just as the colors start to show. 2/ GRAD FILTER to Darken the Sky > Now that you have your image looking more natural, drag a graduated filter over the sky. 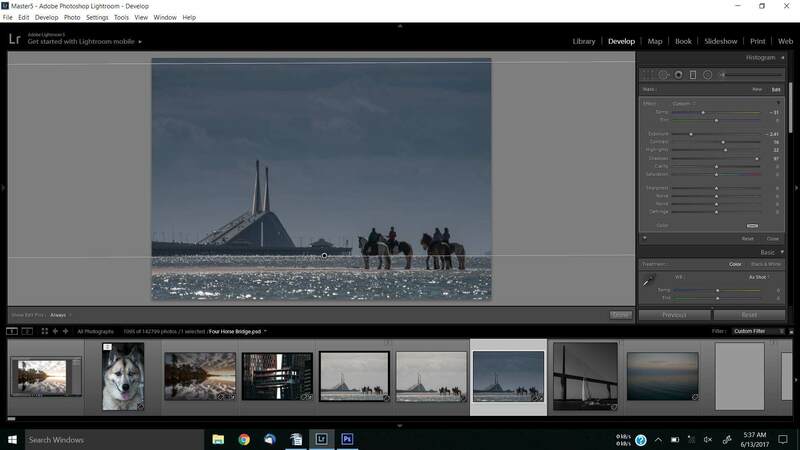 Lightroom’s Grad Filter is a two-step tool. First, direct Lightroom to do WHAT you want the Grad Filter to do. Then, tell the program WHERE you want these changes to occur. Learning to use separate controls over “what to do” and “where to do it” requires a little patience. 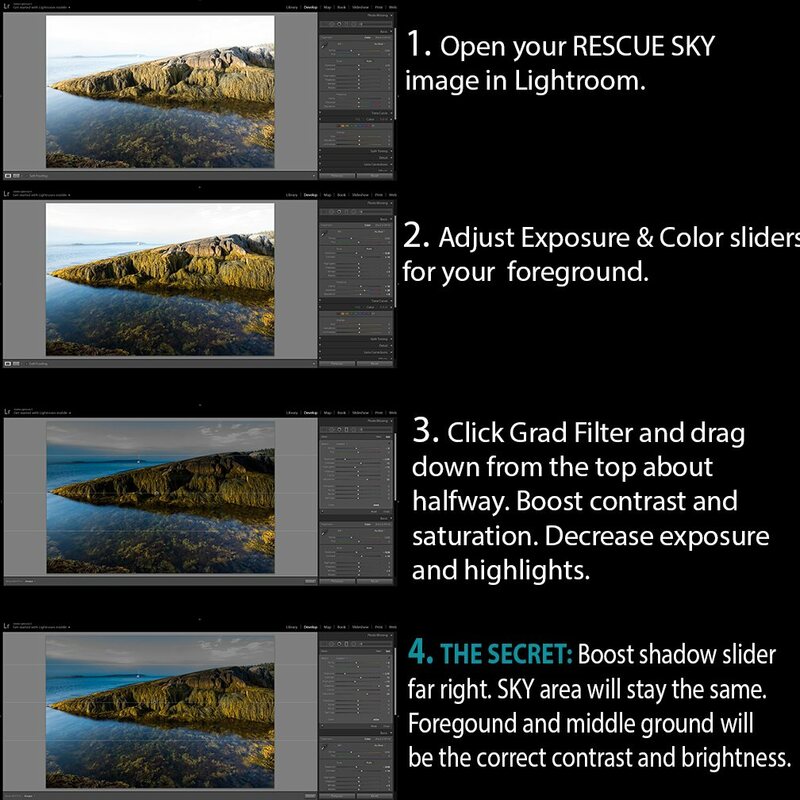 Think of the Lightroom’s Grad Filter as a gradient from dark to light. While this is somewhat like using a $100 graduated neutral density on the lens, it lets photographers have more precise control over contrast. The Grad Filter can be applied top to bottom, left to right. ADVANCED TIP: Hold down the Shift Key to constrain the Grad Filter. The Grad filter’s gradient typically makes the horizon too dark. To overcome this, we open up the Shadows with the Shadow slider (image below). 3/ Move SHADOWS SLIDER Far to the Right to Brighten the Shadow areas around the horizon > Because the sky in the RAW capture is overly bright and highlighted, when you slide LR’s shadow slider to open up the shadows, the lightness and contrast of the sky will stay the same. STEP 4: FINISH> Now, after you’ve opened up the shadows by moving the slider to the right, hit the Enter Key to apply the Grad Filter. To finish, click on the Done Button. ADVANCED TIP: Remember to do your post processing steps of sharpening, lens correction, chromatic aberration adjustments and noise reduction as you would normally in post. Following the same steps we just learned in the first example, my purpose in this second example is to review the idea of rescuing the sky with the Grad Filter and Shadow Slider, but then to add better color and tone as the finishing enhancements. STEP 1/ CORRECT EXPOSURE in DEVELOP > In Lightroom, after importing and opening the image, the Develop Module sliders boost saturation and contrast. While using them, remember to type and hold down the alt (Option) key while sliding the Exposure Slider, until the white areas just start to appear in the Preview window. Now, we can move to the Grad Filter application in Step TWO. STEP 2/ GRAD FILTER ON THE SKY > Click on the Grad Filter. Remember, it is located in the Develop Module toolset, right side of your screen, and it is the 4th tool from the left under the word Book. Drag the Grad Filter from the top of the image to the center. Lightroom will put in a PIN. You can move the PIN around and adjust the range of the gradient. Now, slide the Saturation and Vibrance sliders to the right to add a bit more color if you like. 3/ RESTORE SHADOW DETAIL > Restoring your shadow detail is the fun part. Drag the Shadow slider to the far right, and the horizon which was too dark will get lighter with more detail, while still keeping the sky with great contrast. Here, the trees got lighter but the sky was not changed by the Shadows slider. 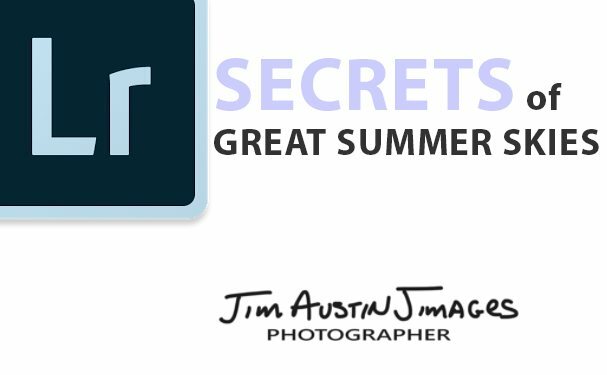 In Brief: The secret of great skies is the Shadow Slider. After crop, color and tone edits, the Grad Filter was applied top to bottom. This helps the sky, but makes the riders too dark. To overcome this, the Shadows slider (below exposure contrast and highlights in the Develop Module) was moved to the far right. This returns shadow detail to the riders at the lower one fourth of the image where the Grad Filter was applied. Here are the visual steps. 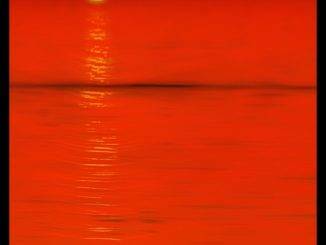 A) RAW Unprocessed image. 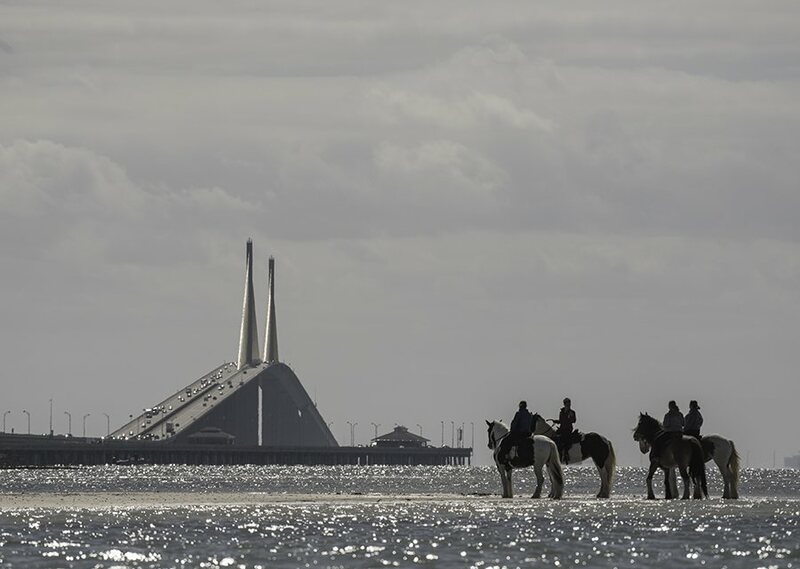 By the Sunshine Skyway bridge in Tampa, Florida, USA, a group of riders pause on a sand bank to rest their horses. Nikon 200-500 ED VR, Nikon D810 camera. B) Apply Grad Filter. Click the Grad Filter. Drag from Top to Bottom of the Image Preview. TIP: It helps to be zoomed out a bit so you can easily drag over the entire preview window. The filter adds a dark gradient to the sky. Use your the Saturation, Vibrance and Contrast sliders to boost contrast and color. C)Above: Develop Module with Shadow slider all the way to the right. Detail is returned to horses and riders and the horizon in general, when the Shadow Slider is moved to the far right. D) FINISH. 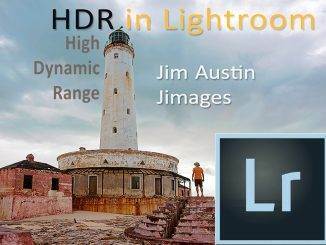 Apply lens correction and your final steps of sharpening, contrast control and color enhancement as you do with your normal Lightroom workflow, and then backup your work for print and web output.Author: JIM AUSTIN M.A. I welcome your thoughts and comments.